So as I’ve mentioned before, I love seafood. Bonus: it is so readily available! I always have bag or two of frozen shrimp hanging around in the freezer. It cooks so quickly that you can have a meal ready in minutes. Take this carbonara recipe, it’s a cinch to whip up – in no time at all you’ve got three of my favorite things: bacon, shrimp and pasta! What could be better? Boil your pasta according to the package directions. Save ½ cup of the pasta water. 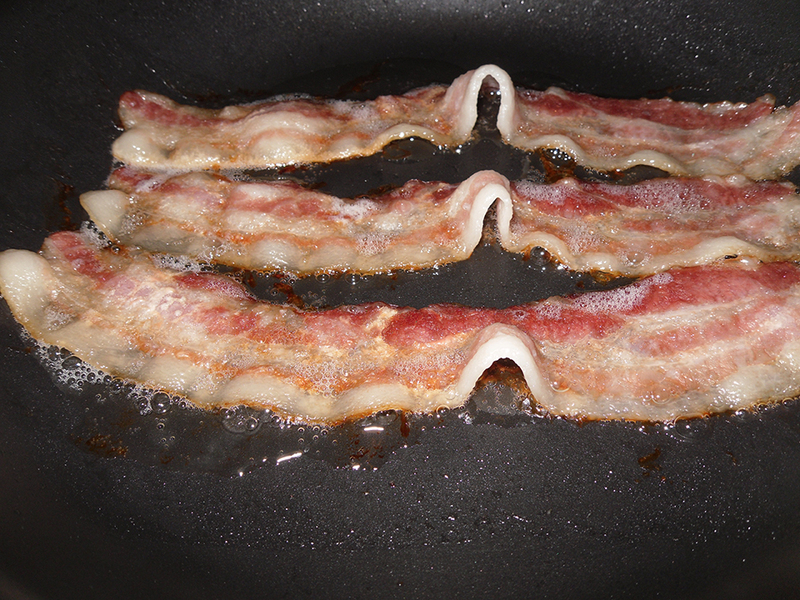 Meanwhile fry your bacon, drain on paper towels, reserve drippings in pan. Thaw frozen shrimp by running them under cold water in a colander. Remove the tail and devein your shrimp. 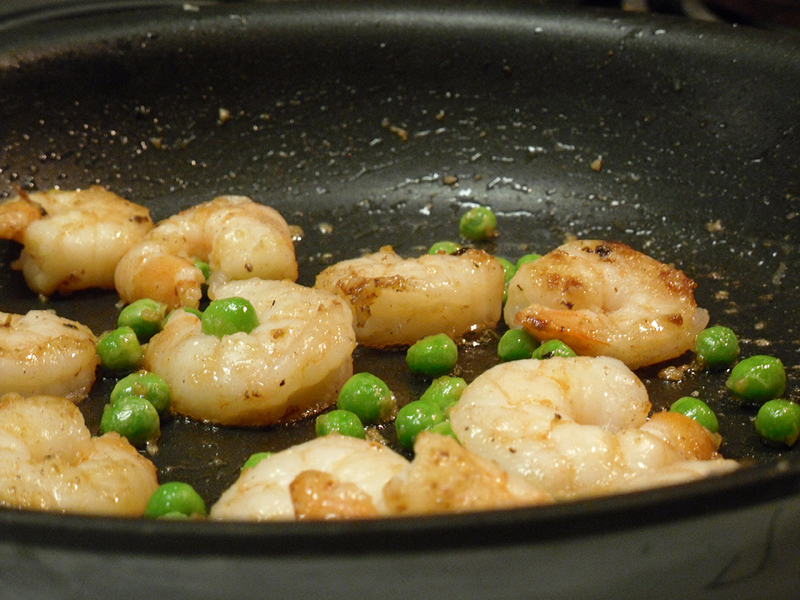 Add your shrimp to your pan, sauté over medium high. Add garlic and shallots. 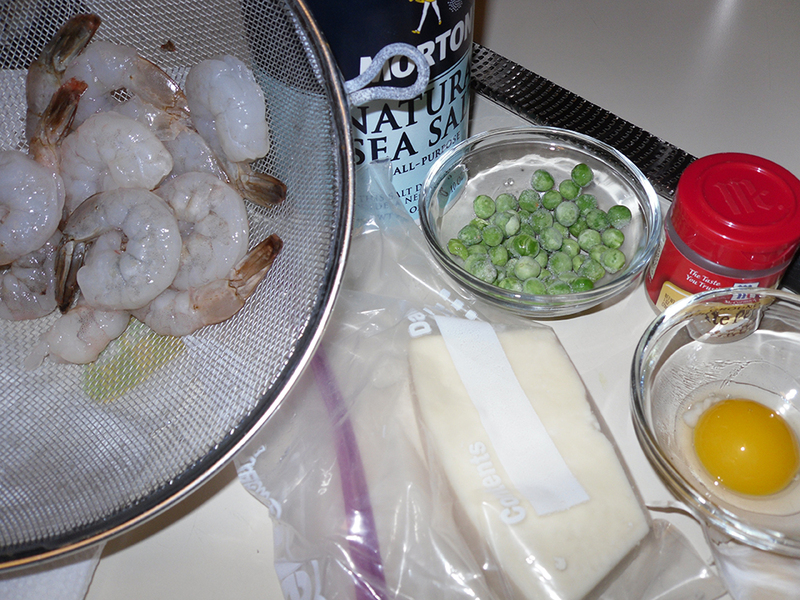 When shrimp are done add your frozen peas. Leave the pan on the heat but turn off the burner. Tah-dah: Super easy date night meal, sure to impress. Pair it with a green salad and nice white wine and there you go!